We’ve been trying out our new pyrography equipment this month. 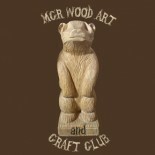 We’re looking for new members so if you or anyone you know in Manchester would like come and learn to carve or draw with fire, then plese get in touch. Details on our ‘about’ and ‘contact’ pages. This entry was posted on March 26, 2013 by mcrwacc in wood carving and tagged adult learning, art and craft, craft club, drawing, life long learning, manchester, maquette making, night class, pyrography, wood carving.